With the Trump Administration placing the United States’ environmental policy on a dangerous trajectory, the task falls upon the shoulders of the American people to change its direction--and they can begin by going to the polls. 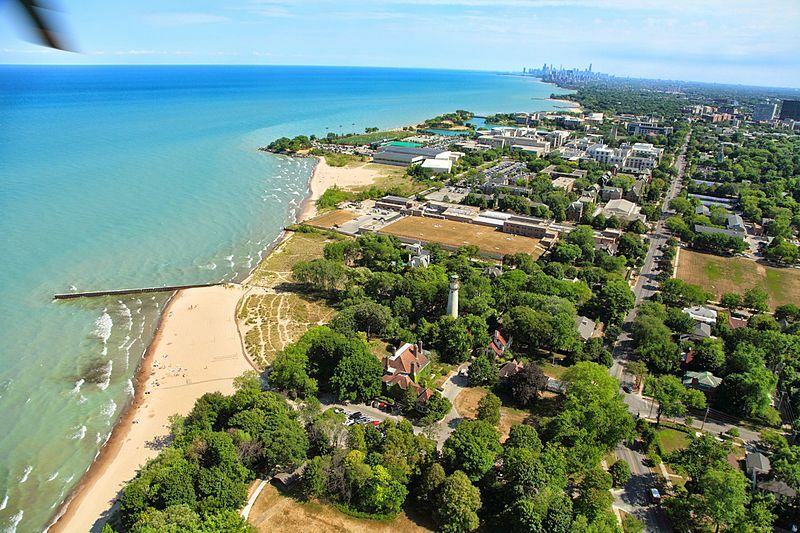 Below is a concise list of candidates to appear on the Evanston Township ballot who have made environmental protection a priority, as well as their specific stances on the subject. According to his campaign website, Pritzker said he stands on the side of science. If elected as governor, Pritzker said he will invest in clean water infrastructure, expand energy efforts efficiency efforts, and support agencies that protect the environment like IDNR, IEPA and the Illinois Environmental Justice Commission. He said he will also “bring all stakeholders to the table” in order to put Illinois on a path toward 100 percent clean, renewable energy and join the U.S. Climate Alliance in order to uphold the provisions of the Paris Agreement. According to an interview with the candidate by the Chicago Sun Times, Jackson is a firm believer in clean energy, however, he said it must come at an affordable price to all Illinoisans. Jackson also said he is against softening clean air standards in Illinois. In an interview with the Chicago Sun Times, Schakowsky identified herself as a “strong environmentalist,” and articulated the importance of safeguarding natural resources and species, national parks and wilderness areas. She said she has a particular interest in protecting the Great Lakes. Schakowsky said she supports the Alliance for the Great Lakes, and she is an active member of both the Safe Climate Caucus and the Climate Solutions Caucus. As Attorney General, Raoul will make the enforcement of environmental protections a priority, and will advocate for full funding at the Illinois Environmental Protection agency, according to his campaign’s site. Raoul also supports the strengthening of the role of the Illinois Environmental Justice Commission and committing the state of Illinois to the Paris Climate Agreement. In the spring of 2018, Mendoza, along with State Senator Andy Manar, State Representative Christian Mitchell, State Representative David McSweeney and State Representative Greg Harris, introduced the “Truth in Hiring Act.” This act would end the practice of “offshoring” governor staff salaries, which takes money from environmental protection agencies, according to a release by the Office of the Comptroller for the State of Illinois. Frerichs said Illinois’s Office of the Treasurer must account for certain environmental risks like greenhouse gas emissions; air quality, energy and fuel management; water and waste; and climate competence when making investment decisions. According to her campaign site, Gong-Gershowitz is a proponent of strong state protections in order to preserve the environment where federal leadership has failed to take action. She also supports the implementation of Illinois’ Future Energy Jobs Act. Gabel is the chairwoman of the Illinois Green Legislative Caucus, and is committed to the creation of clean energy jobs, the protection of natural resources, and the preservation of the environment, according to her website. Gabel has voted “Yes” on HB 1558 and HB 5789, and filed, sponsored and voted “Yes” on HB 5741, all of which took steps to safeguard the environment and the people living in it. She also supported the Clean Energy Jobs Act. For five years, Gabel’s voting record has received a 100 percent positive rating from the Illinois Environmental Council. Also a supporter of the Future Energy Jobs Act and a member of the Illinois Green Caucus, Fine said in an interview with the Chicago Sun Times that she believes the state legislature must remain “vigilant to protect environmental priorities and goals from attacks by the federal government.” She also advocates a transition to more clean energy jobs in the workforce. Additionally, Fine said on her campaign site that she is currently working on legislation to replace Coal Tar Sealant, which contains known carcinogens and produces dangerous runoff into Illinois’ water system, with a cost-effective alternative. Steans is the vice chair of the Environment and Conservation committee in the state’s senate. According to her campaign’s website, she passed legislation to better Illinois’ environment by reducing mercury waste, creating commercial composting capabilities and banning microbeads. As a commissioner of the Cook County Forest Preserve District, Suffredin said he has passed ordinances protecting the land owned by the Forest Preserve District and provided funding for the Brookfield Zoo and the Chicago Botanical Garden in a statement given to WTTW. Shore told the Chicago Sun Times in February that she was “an avowed environmentalist and strong proponent of cleaning up the Chicago area waterways.” She supports stricter penalties for illegal dumping, especially of materials considered to cause harm to Chicago’s waterways and ecosystems. In her interview with the Chicago Sun Times, Steele identified herself as an environmentalist, and proposed the Metropolitan Water Reclamation District (MWRD) take steps to ensure that the companies leasing its land are good environmental stewards. She said the MWRD should also collaborate with environmental groups like the Army Corps in order to prevent invasive species from moving in and through Chicago area waterways. According to his website, Garcia considers the implementation of new clean water technologies to be a priority for MWRD policy. Garcia also supports the advocacy of all environmental issues that will protect the quality of Chicago’s water, rivers and ecosystems. In a statement given to WTTW, Capparelli said he would take a platform with the MWRD that is both fiscally responsible and environmentally friendly, and in an interview with the Chicago Sun Times, he said environmental and fiscal responsibility can be compatible. According to Greens for MRWD, Anthony would be a voice for strong environmental standards for Chicago, and is already a voice for environmental issues like air quality and green spaces for his community. In an interview with WTTW, Roothaan said the MWRD should both serve public interest and protect the environment, and that it should hold itself to a standard of environmental responsibility. In a statement given to WTTW, Vinson said she believes both acknowledging climate change and implementing strategies to address it are essential to the operation of the MWRD.